If you play golf abroad regularly, you will know that airline baggage costs have been steadily increasing over the last few years. Then there’s the potential loss, damage and associated insurance costs, so it’s easy to see how the cost of your holiday can soon mount up. But you do have another option! Why not rent your golf clubs from us here at Golf 4U Spain? 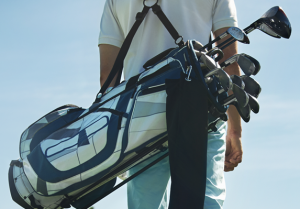 Our club rental starts from just £20.00 and we can deliver your golf clubs directly to your hotel, golf course or Malaga airport. Once your golf break is over, we then collect them from you. Simple! So not only will you be saving money by booking your Costa del Sol golf holiday with Golf 4U, but you will also save even more by renting your clubs with us. That’s a win win in anyone’s book!